Expert landscaping for your home. At Willo’dell Nursery, our emphasis is on developing landscape designs to suit our customers’ needs, enhancing the physical structures and opening the outdoor space to greater use and appreciation. Drawing on the strengths and experience of our designers, we create plans that are rich in color, texture, and form. 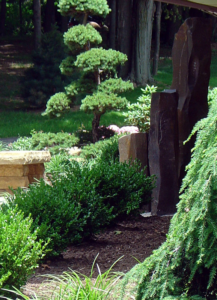 We specialize in creating relaxing gardens, sculptural patios, water features, inviting entryways and mood-enhancing night lighting.